Are you struggling teaching confusing words? 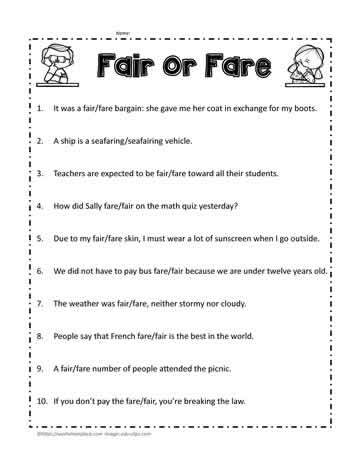 Do your students have difficulty determining whether to use fair or fare? This free reproducible is a great way for them to practice. How did Sally fare/fair on the math quiz yesterday? A fair/fare number of people attended the picnic. An answer sheet is even included for easy marking.